At Impact Trophies & medals we offer a huge range of shields & plaques for your athletics event or presentation. 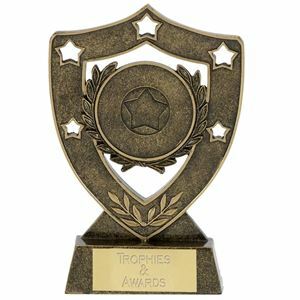 Available in a huge range of styles, our collection includes cheap plastic plaques, wooden shields and annual awards for any athletics presentation. Impact Trophies & Medals are a leading retailer of athletics shields & plaques. Perfect for personalisation, many of our plaques and shields can be personalised with high quality text engraving and printed logo inserts for your athletics club or meet presentation.